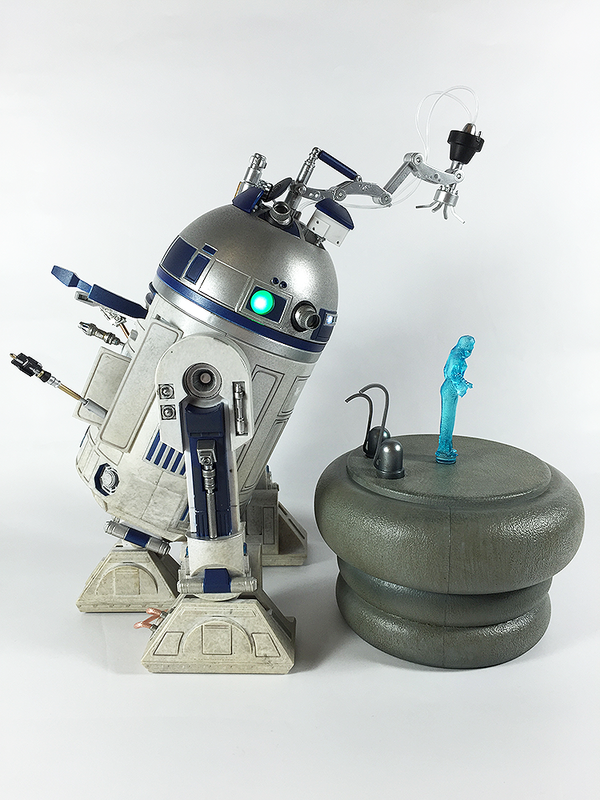 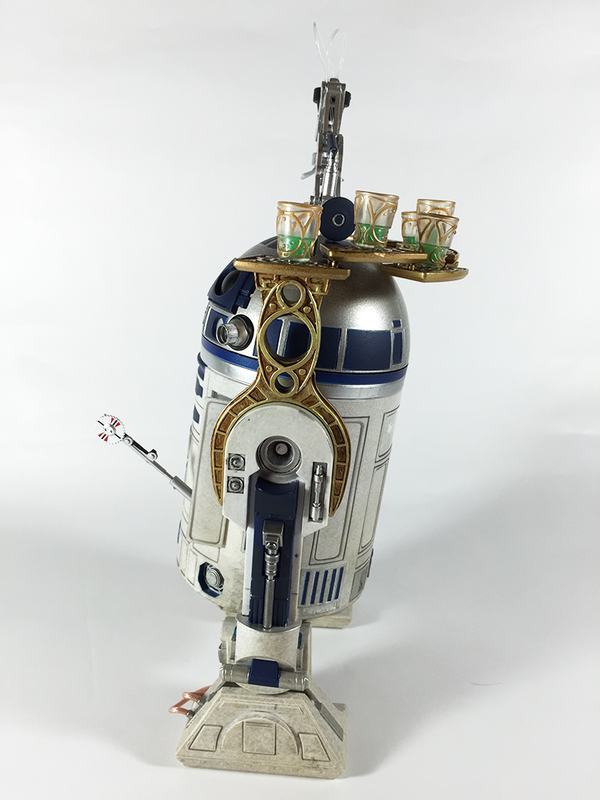 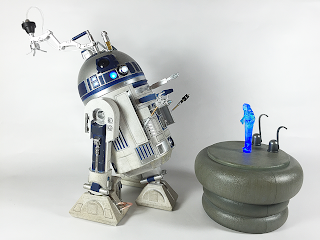 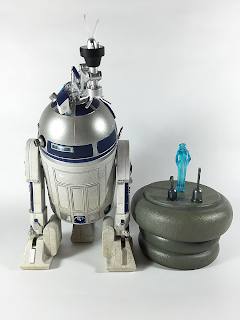 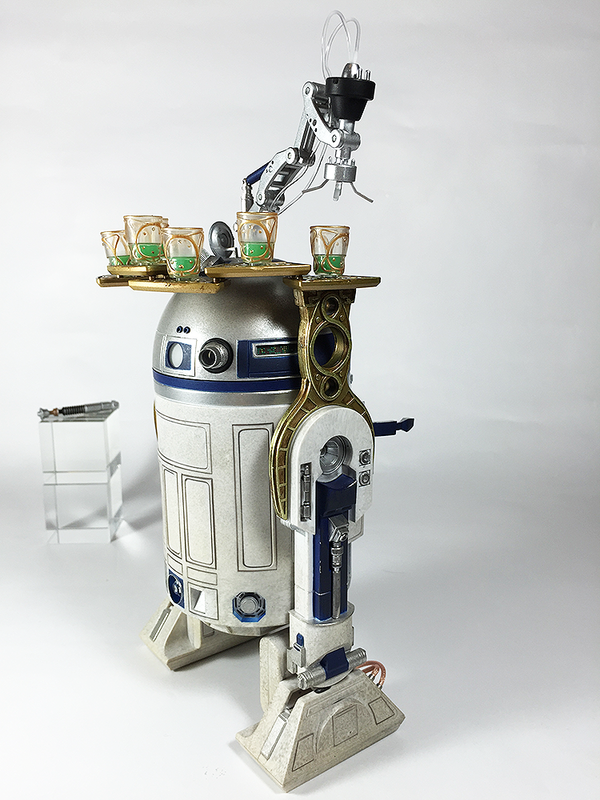 Sideshow R2D2 sixth scale figure is finally here and wow was it worth the wait! 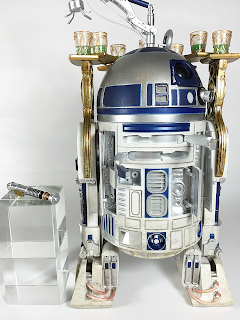 I have never owned an R2D2 figure before so I didn't really know what to expect but this is one incredible masterpiece. 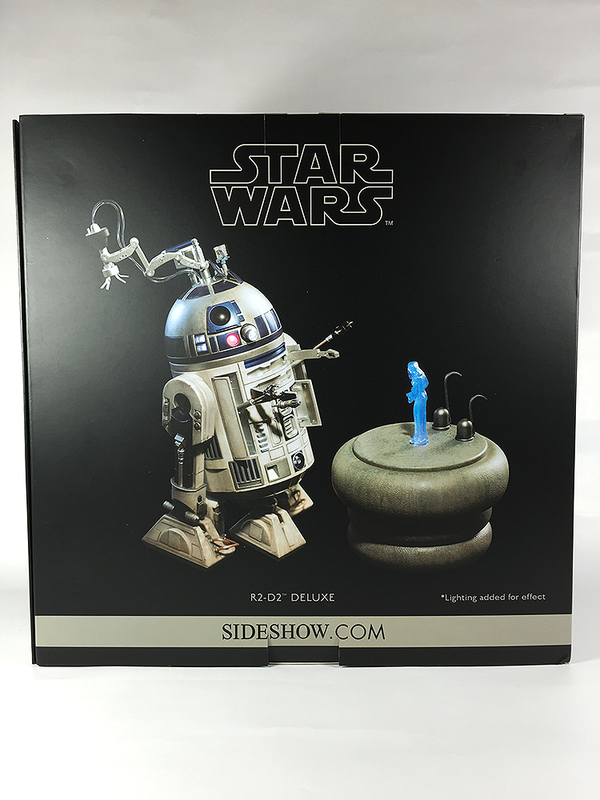 Out of the brown shipping box comes a beautiful window box packaging with all the accessories and R2 himself straight out visible as if Sideshow had absolutely nothing to hide. 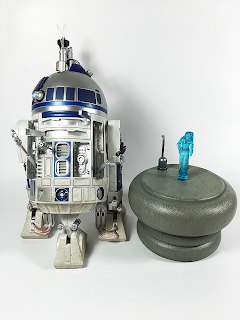 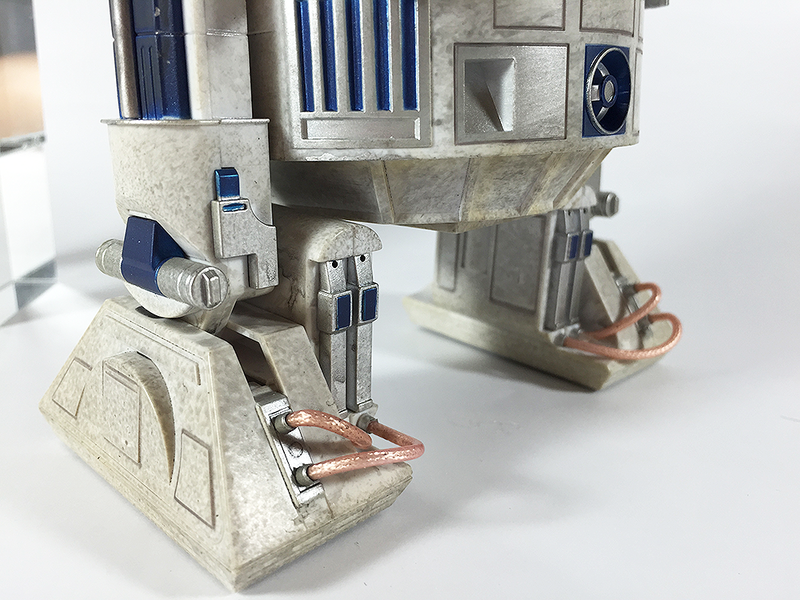 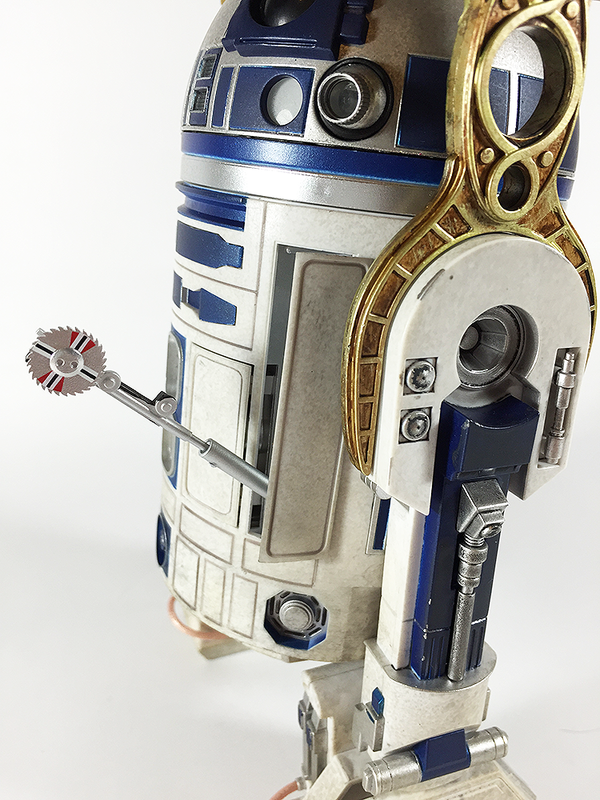 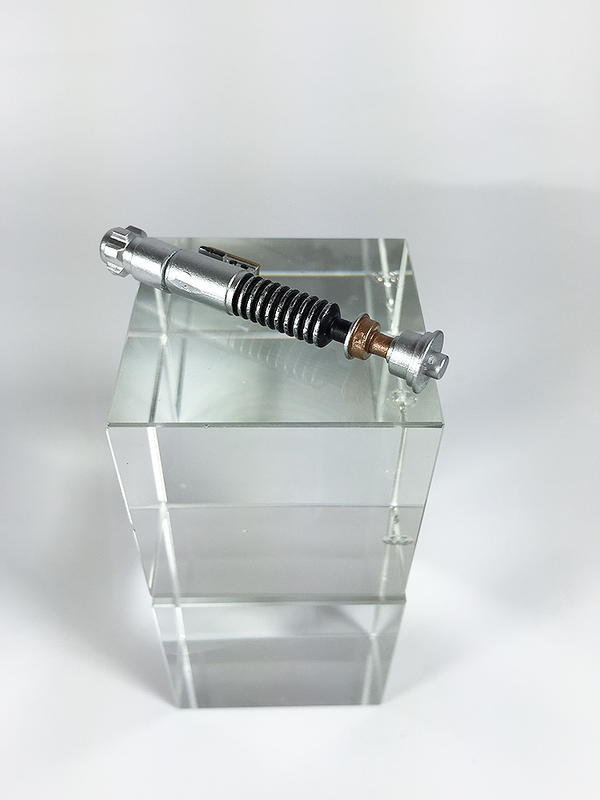 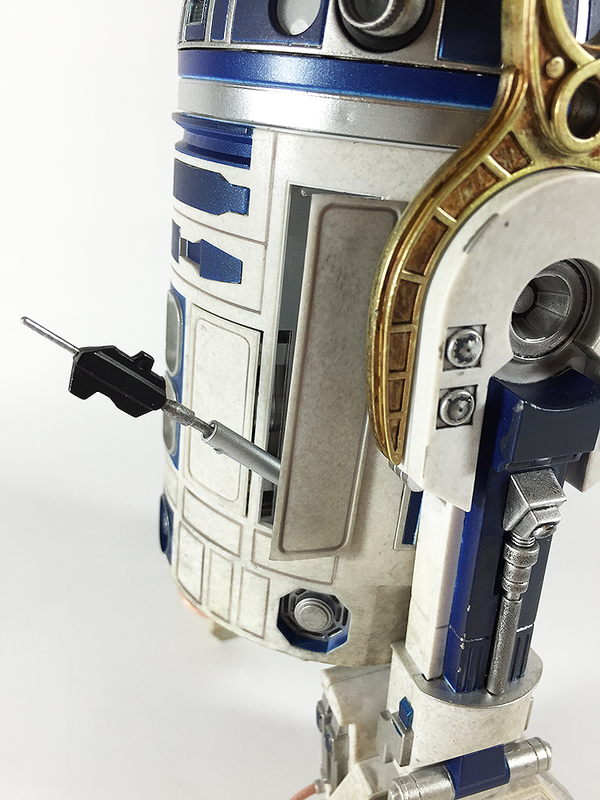 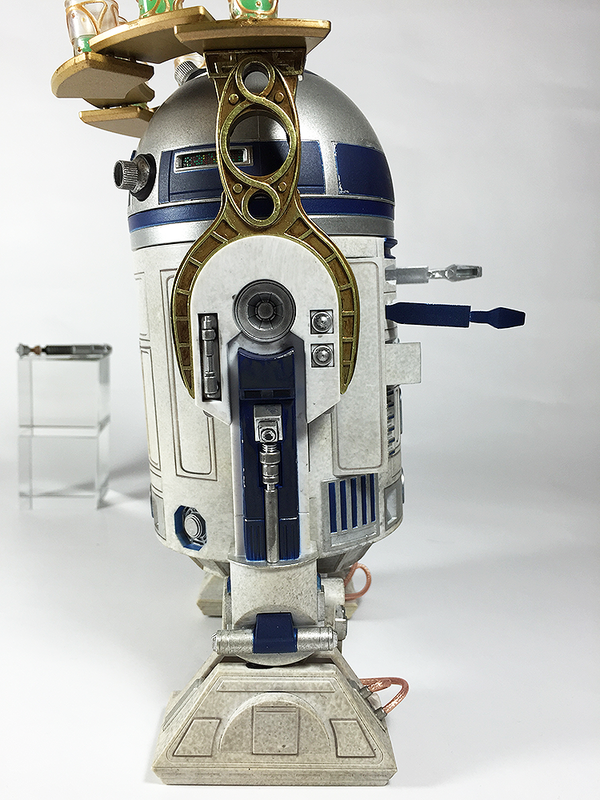 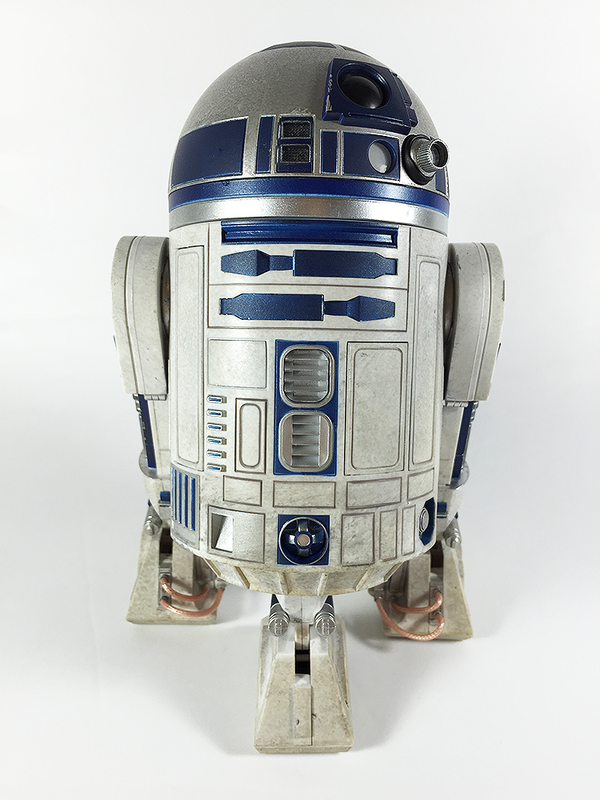 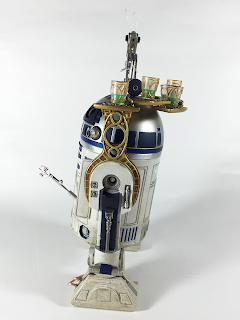 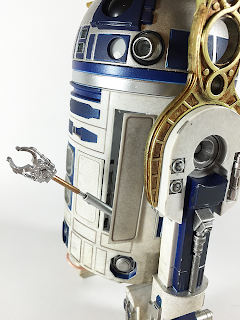 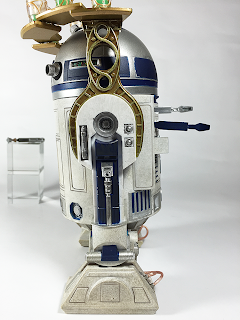 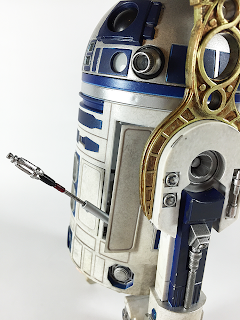 Out of that box, comes one and only, R2 with amazing weathering detail, rotatable and removable dome, fully articulated and retractable third leg, 5 panels just on the body that can be opened with a magnetic lightsaber (also included! ), 3 spring operated panels on the dome, and of course LED light up functions. 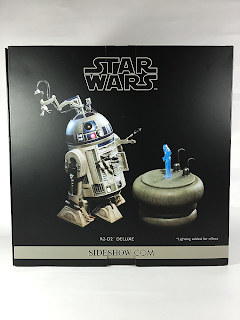 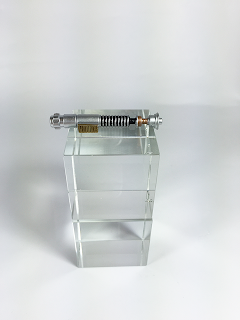 Also in the box contains so much accessories such as Obi-Wan's table and projection of Princess Leia which also lights up, notably from "A New Hope". 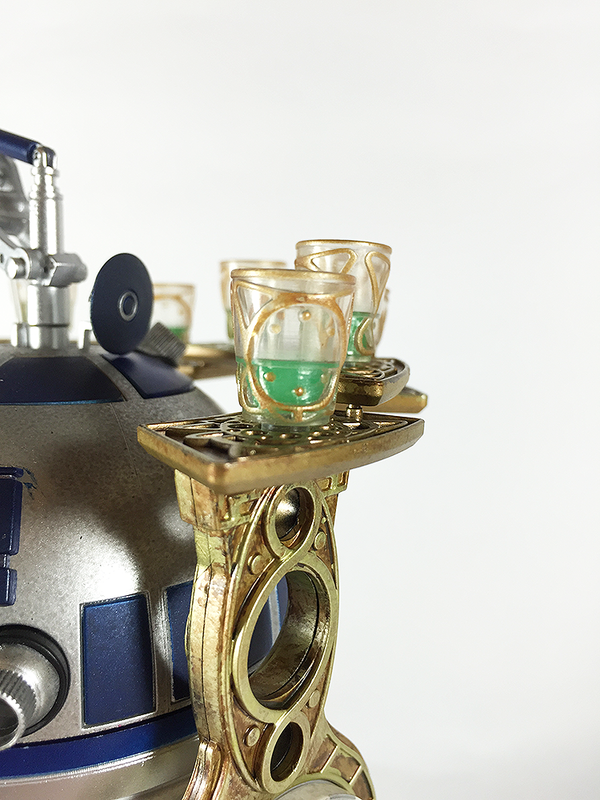 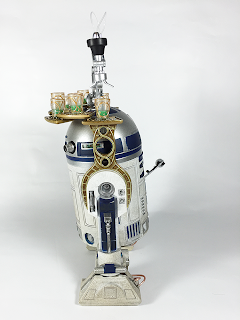 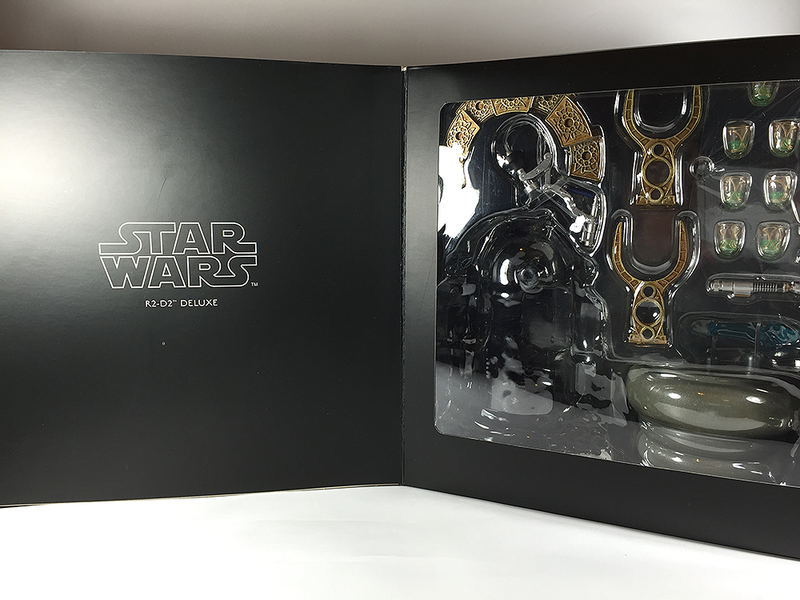 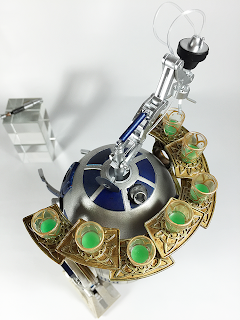 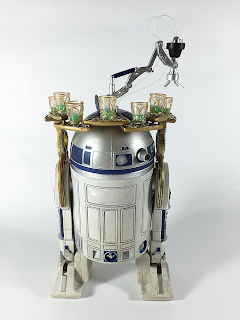 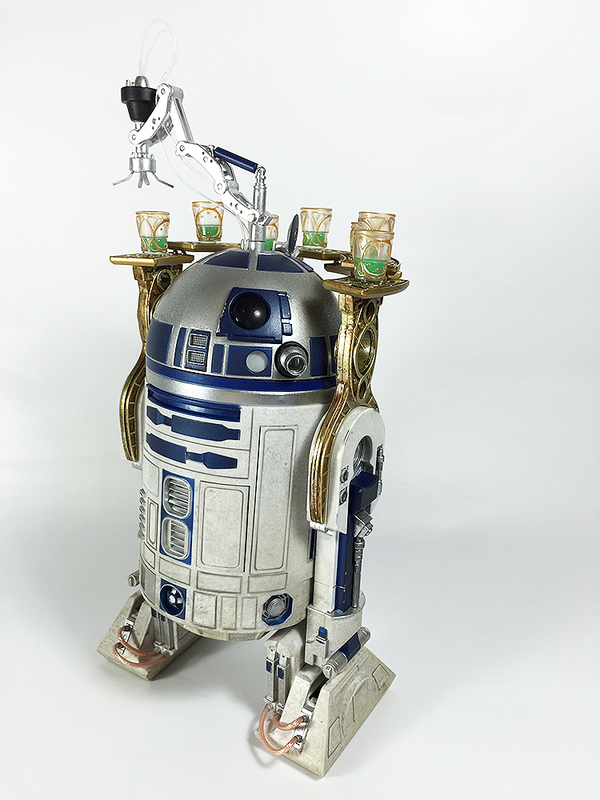 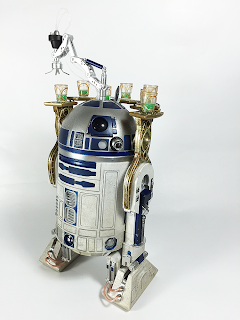 The drink set from "Return of the Jedi" which includes fully articulated and easily attachable drink-serving arm, 7 detailed cups with drinks inside (not real of course), and beautiful tray golden tray to hold all of them! Since this is the exclusive version, it comes with 3 extra arms which are the utility circular saw arm, Laser wielding arm, and the Spacecraft linkage arm. 6 arms altogether, they can be attached to any of the 3 ports available on the body. 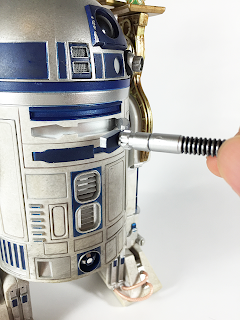 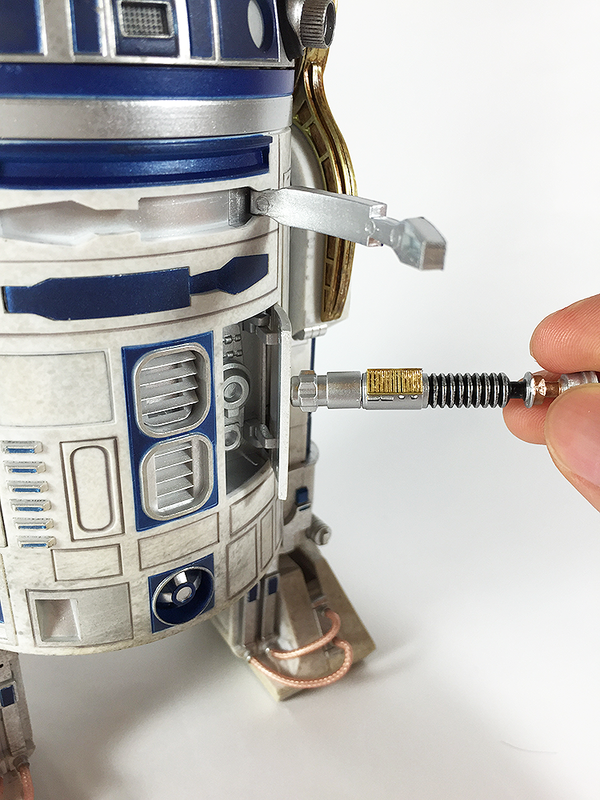 And possibly my most favorite accessory ever, which is the magnet lightsaber, used to open all the panels, and can be stored inside R2's dome. 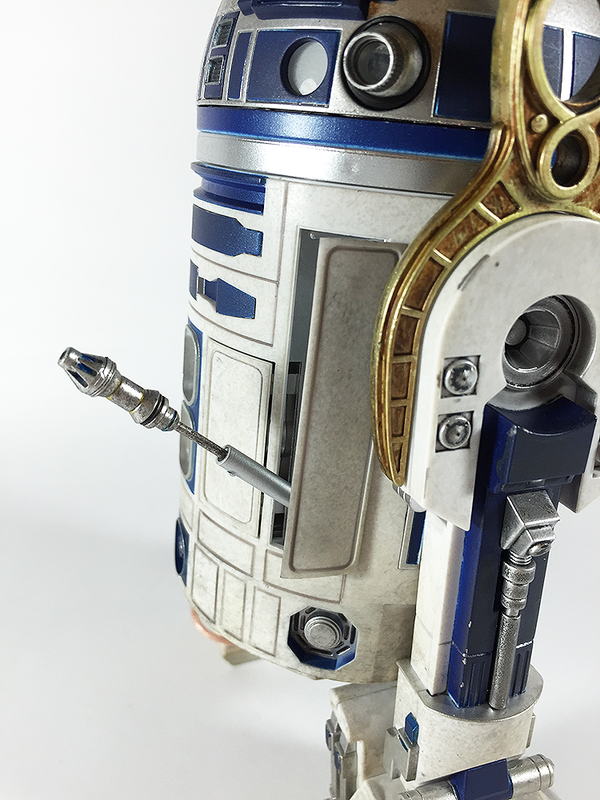 The detail just on this is also beautiful, and just feels very nice. 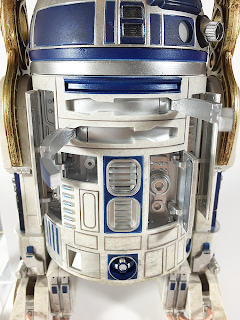 This made playing with R2 so much fun actually haha. It's like you're using the "force" to open the panels! 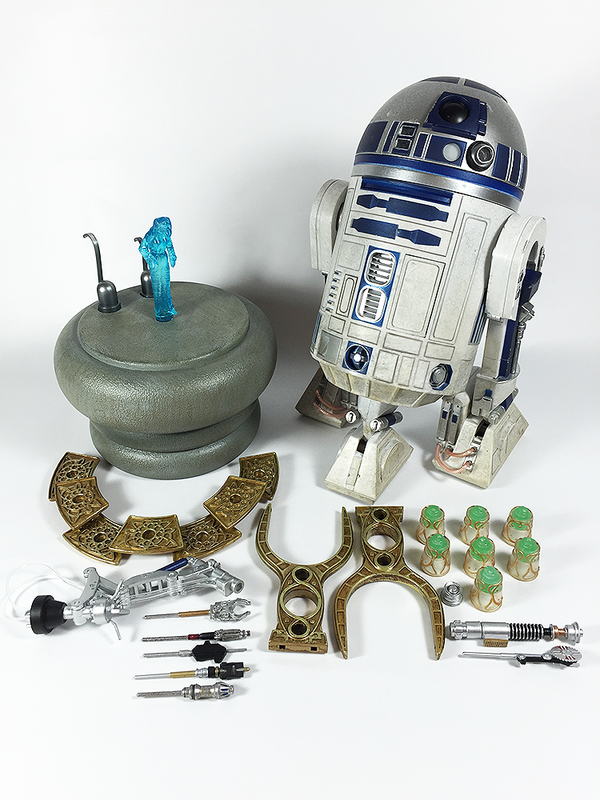 Overall, Sideshow R2D2 deluxe sixth scale figure is so awesome, I'm really glad I preordered this. Such an amazing figure with so much accessories. 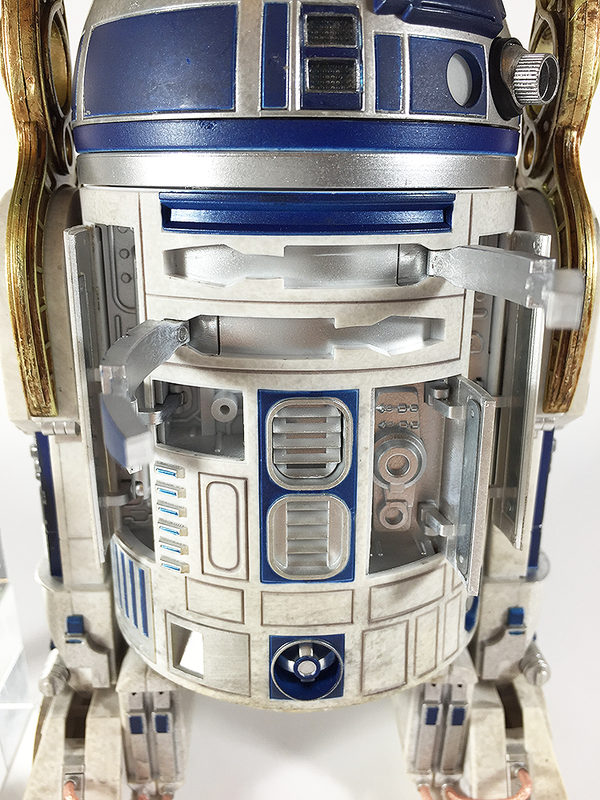 If any company is thinking about one-upping this masterpiece, it would need to be die-cast, have sound effects, and have weathering details inside each and every panel. 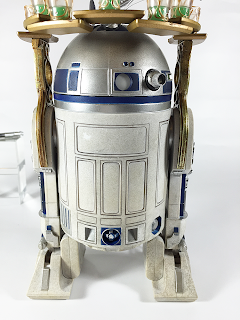 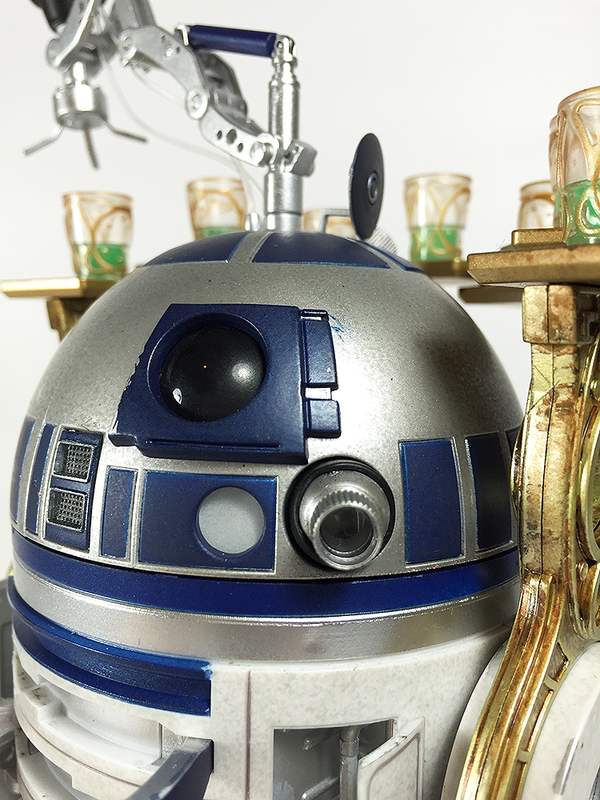 Otherwise this is pretty much the perfect R2D2 sixth scale figure so far. Now all I need is the recently announced deluxe sixth scale C3PO which I will definitely preorder and will review here! 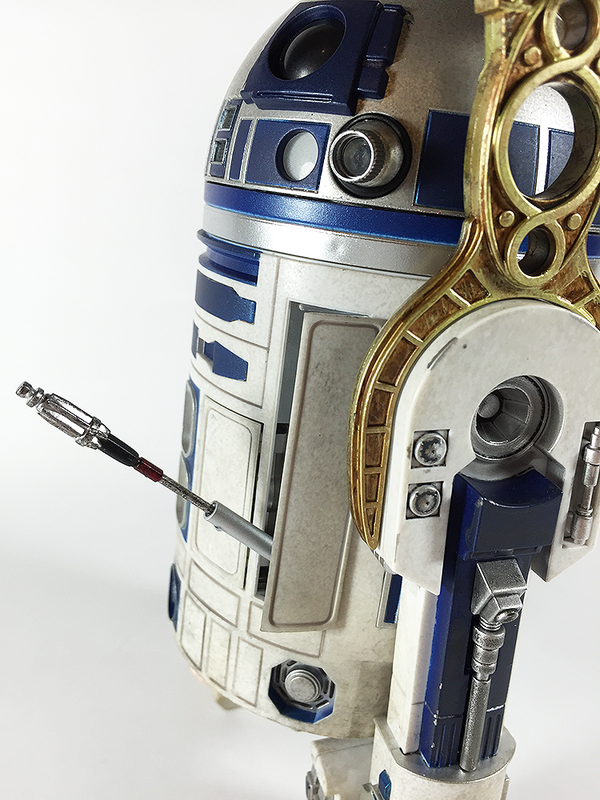 Until then stay tuned!